Don’t just take our word for our great service, read some of our clients testimonials below. We have been talking about getting our loft converted for about 5 years so choosing a company to convert it was a big decision! Adam and his team have been brilliant – their quote was competitive and we are really happy with the results. We changed the bathroom design a few times during the build and Adam and his team supported our decisions and thought of solutions to help us achieve the layout we wanted. We would definitely recommend Kingsmead Conversions and would be happy for them to use us as a reference. 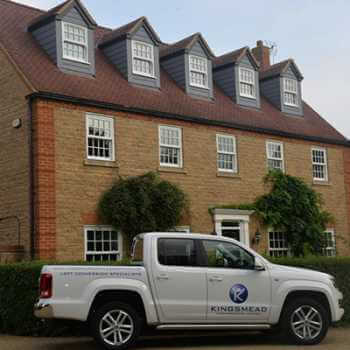 We initially worked with Kingsmead Conversions in the summer of 2012. 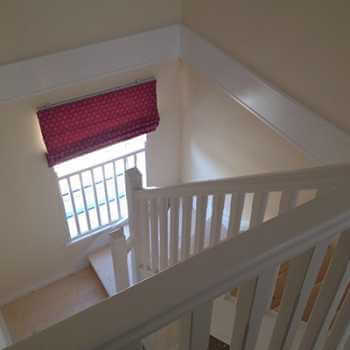 We wanted to convert our loft to gain 2 bedrooms and a cloakroom but to be in keeping of our house. After numerous discussions plans were drawn up and work commenced on the project. The project management was excellent and all trades worked together as one team, communication was great, and the price initially quoted was the price we paid at the end so no nasty surprises. 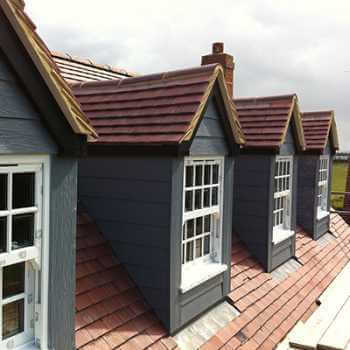 The finish of the completed work is to a very high standard and we have never had to call them back for any defects. So pleased with the work we converted our garage last December, another project which ran smoothly and we are just about to commence a new double garage build. We have never had any concerns with using Kingsmead or their tradespeople and have highly recommend using them to others. Kingsmead came via personal recommendation as I was looking to covert my attic. 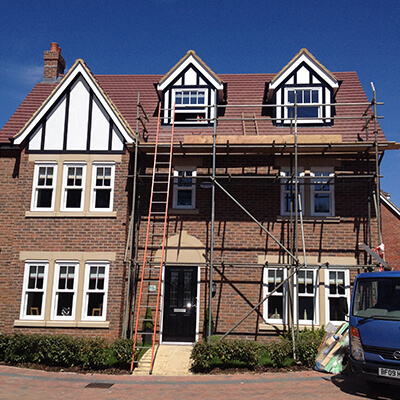 The project involved removing the entire roof and replacing it at a steeper angle and was not a small job. I chose Kingsmead to do my work as Adam delivered a proposal to me when he said he would and at a price that was competitive. I did not need to chase him up and I received a written quote which we discussed over a cup of tea and agreed a start date 3 weeks out. He started exactly when he said he would, and I found his team to be very courteous and professional. They made every effort to keep the mess to a minimum and respected the fact that it was my home and I was still living there. they kept me informed about what the next steps were and when they would be on or off site. There was one significant issues that came up during the build; the size of the existing floor beams were not sufficient and the details supplied by the architect were not correct nor were they verified. I was worried that this would add extra cost and delays. Adam dealt with this brilliantly, bringing in a Stress Engineer to sort the calculations out and installing new joists. 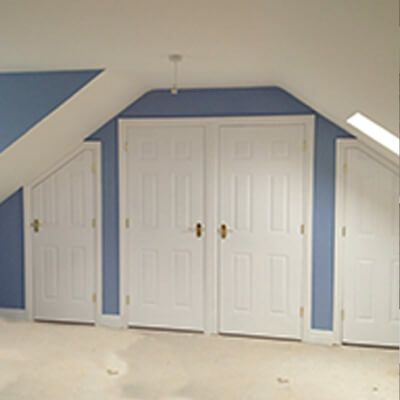 It was easily and quickly sorted and did not hold the build up in any way and the extra cost was almost nothing. The work was finished on time (a week before Christmas) and the building certificate was issued immediately. I was extremely pleased that such a big project went so smoothly. The work was to a very high standard, and I really appreciated the help and advice that was given in terms of some of the finishing touches; the balconies look superb and much better than the solution that I was proposing! It was a pleasure using Kingsmead and I would not hesitate in recommending them. 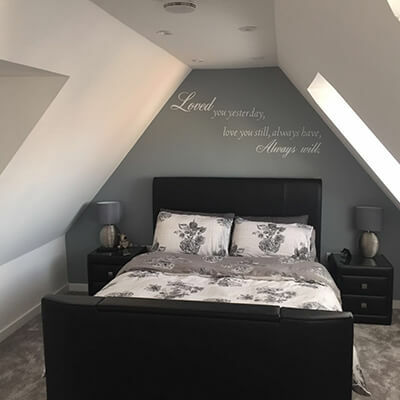 We chose Kingsmead Conversions to convert our loft as they seemed a professional yet friendly company who would respect our home. From the initial consultation, Adam was very helpful in giving us advice about the best layout in order to make use of all the available space. We changed our minds a few times about the layout and our requests were always met without a fuss. Kingsmead respected our home and carried out the conversion in 6 weeks as promised. We couldn’t fault the work and are thrilled with the completed conversion. All the guys were very friendly, polite and completely trustworthy. I would definitely recommend them. 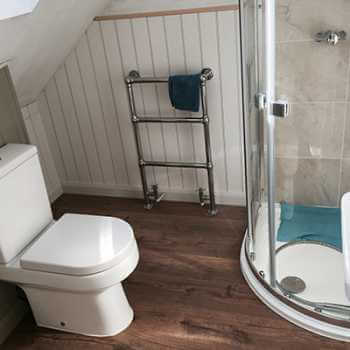 We couldn’t have been happier with our loft conversion. It created so much more space than we expected. 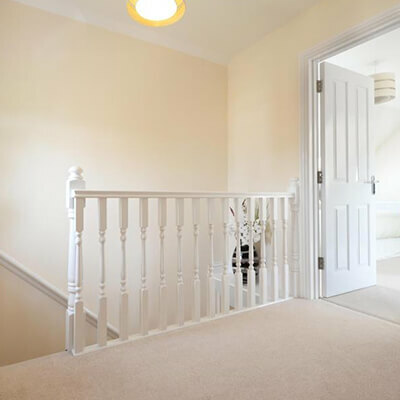 Everything Kingsmead Conversions did was professional and effortless. The job was completed with no disruption to our day to day living and everything was left clean and tidy at the end of the day. Everyone was polite, considerate and punctual which can be unusual these days! A great job all round.